Lilash Eyelash Stimulator is a popular eyelash growth enhancement product that promises to improve the volume and length of eyelashes after continuous use. The product is created by Cosmetic Alchemy, a company that specializes in manufacturing and distributing cosmetic and cosmeceutical products. Lilash has a no-salt formula, which is less irritating on the eyes. Some other eyelash enhancement products cause stinging sensation when they get into the eyes. The product promises to improve the length of the lashes within four to six weeks of continuous use, which is not really quite a long time. A tube of Lilash lasts very long and can be used for five to six months, even with everyday use. It is not only an eyelash growth stimulator; it is also an eyelash conditioner as well. Lilash comes at a steep price, and most people are not prepared to shell out more than a hundred dollars for their eyelash enhancement products. It may cause a darkening on the eye area. It contains Phenoxyethanol, which is known as a possible irritant. It may also irritate the eyes of the skin surrounding the eye area. There are some negative user reviews online claiming that the product did not live up to its promise. Creates a burning sensation: Many users who have had negative experiences with LiLash report that they feel a burning sensation around their eye area and/or in their eyes.A burning sensation might indicate an allergy to LiLash's ingredients, and eyes should be properly flushed and examined if severe burning occurs. Itching around the eye: Similarly, some Lilash users report experiencing itching sensations around the eyes or of the eyeballs. While this side effect is generally not prolonged or severe, it has been enough to make some customers quit using the product altogether. This could be an allergic reaction to one of LiLash's ingredients. Change in skin pigmentation: One of the most disturbing side effects reported by LiLash users is the development of a brownish pigmentation in the skin around the eye. Users report noticing brown lines developing over their lashes, giving them a raccoon-like appearance. Others report a brownish-red discoloration and swelling of the upper eyelids. The brown lines do not seem to be reversible. Irregular eyelash growth: LiLash might claim to be a purified serum that grows and thickens your lashes, some users have reported an increase in the sparseness of lashes or simply no growth or loss. Most bizarrely, a few consumers have reported growth of cheek hair (between the cheekbone and lower eyelashes)! Creates a burning sensation: Many users who have had negative experiences with LiLash report that they feel a burning sensation around their eye area and/or in their eyes. A burning sensation might indicate an allergy to LiLash's ingredients, and eyes should be properly flushed and examined if severe burning occurs. While Lilash is said to be hypoallergenic, some individuals may still experience side-effects such as itching, burning and redness of the eyes. These usually occur when the solution gets inside the eyes. These side effects can easily be remedied by flushing the eyes with water. Aside from these side effects, some users have also reported swelling or discoloration on the upper lid of the eyes. These side effects however are not permanent and can easily be reversed. Lilash Ingredients and How Does It Work? and Prunus Amygdalus Seed Extract among others. Of course, purified water makes up the bulk of the product and gives it its liquid consistency. Lupus Albus Seed Extract is the stimulating factor that promotes hair growth. While Prunus Amygdalus, on the other hand strengthens the eyelash fiber by protecting it. Panthenol is a moisturizing agent while silica also strengthens each eyelash strand and prevents it from breaking. Other product ingredients include Glycerin, Colloidal Silver, Chlorphenesin, Hydroxyethlcellulose, Phenoxyethanol, Isopropyl Ester, 15S-trihydroxy-17Phenyl and 18, 19, 20-Trinorprosta-5Z among others. These ingredients encourage eyelash growth by chemically stimulating each strand of eyelash to increase and grow in size. Aside from stimulating eyelash growth, Lilash Eyelash Stimulator also protects the hair and keeps it from being brittle. Its restorative nature helps keep the eyelashes strong, thereby preventing unnecessary breakage. The product is simple to apply, and should just be applied on to the upper lash line just like one would with a liquid eyeliner. A single tube of Lilash can be used for five to six months. It can also work on the eyebrows; however, Cosmetic Alchemy has designed a specific product for eyebrow growth, which is known as Librow. So, we come to the question, should you buy a tube of Lilash. Given that it does sound promising and is proven to be safe to use, it might be worth a try, especially if you are willing to spend money on the product. However, if you are not too keen on spending a hundred or so dollars on an eyelash enhancement product, you may want to consider other products first before finally deciding on Lilash. It has been 1 month since I started using Lilash. And one thing which I have observed very clearly is that, my lashes have grown faster, and they seem darker and longer. I have a tan complexion and fine hair, which means I am a typical Asian. Problem was that I never felt my lashes growing, but since I have used this product I have noticed an unfamiliar change, my lashes have started to grow. The first person who noticed this was my fiancÃ©e. Another reason why I admire this product is that most of mascara’s are not very gentle on my skin, but this product has helped me to grow natural lashes for just $140. I mostly use it in the night time just before I am ready to go bed. For application of this product, I use some Vaseline with it for better handling and apply it on my lashes. It is a guaranteed better product than any mascara, try it. Did you use Vaseline around your eyelids to keep the product from contacting your eyes or what was the reason? I have been using it for a couple of weeks now, but I think I am not getting the results I expected at the time when I was paying the price of the product. But I believe the situation will improve so I have decided to give the product some more time. From my side the product deserves an average rating, and hope people who are satisfied with the product will make it an excellent one. Well the reason why I placed the product under 4 star category and not 5 stars is because of the price factor. But people must have noticed that with the constant use of mascara even, the lashes gradually lose their original length, but I have found the solution of the problem within this product, my lashes have now started to grow gradually and also started to become thick. Mine are not growing like they did previously I thought maybe the effective ingredient was removed. What did you do to correct your problem? The product reminded me of good old days because by the use of the product I have now lashes which I use to have 15 years ago. Although the price is very high but surely you will get the results which you expect after such a heavy amount. Highly recommended in night times. Patience is the key. Give the product at least a month, also if you want your expected results than along with patience, regularity is very necessary, which means daily use of the product. Is the redness permanent and did you experience any darkness around eyes? I’m African American also but am afraid to try for this very reason. I have been using Lilash for 5 weeks now. I have followed the directions exactly. I have thin, short, light lashes and to date have seen no difference from when I started. After reading all the reviews I am somewhat disappointed with my lack of progress. I will continue for the full 90 days with hopes that I’m just a late bloomer. Expensive ? Yes, but so worth the price. I am 44 years old and my lashes have naturally thinned out. My freind used LiLash and I thought she had “fake” eyelashes. It’s only been a few weeks and allready they are thicker and stronger. I’m excited for the final result. I have been using this for about 7 weeks and it does work. It took about 5 weeks before I noticed, tho. The results for me have not been as dramatic as others have said. Also I am noticing a lot more eyebrow hairs where my lashes now hit my brow bone so I am rating this a 4 out of five. Not sure how the product works, but I’ve been trying to get in contact with the company for days and can’t get a hold of anyone. Their email contact form doesn’t go through and their automated answering system doesn’t let you talk to anyone or leave a message. ‘Our representatives are busy processing orders.’ Right. Great product? I sure hope so, because if you don’t like it, you’ll never hear back from them. It is true the product works; my lashes are definitely longer BUT! I have a reddish line that appeared on my lids, exactly at the place where I applied Lilash. I have stopped using the product and the line remains so I look like I’m permently wearing red eyeliner! Also, my lashes grew very straight and not aligned, they crosses each other so it look weird. They remained entangled even with mascara. I love this product! I have been using LiLash for the last 6-7 months and It is fantastic. I get comments almost everyday from friends and family that notice how long my eyelashes have grown. I highly suggest this product. Well, like one of the reviewers said patience is the key. I’ve been using the product for about 5 weeks and nothing shocking happened yet. I have compared pictures from day 0 and week 5 and nothing changed maybe the fact that they dont fall as often as before. Im a little bit dissapointed but I wont quit until I finish the product and hopefuly I’ll get the results then. During the first 2 weeks of use, my eyelashes were falling out more frequently than normal and my eyelids were itchy, so, I almost gave up on this product. But, I decided to just apply Lilash every other day and there is much less itchiness. I’ve been using Lilash for about 2 months; some of my eyelashes are definitely longer & curlier. Not so sure about thicker and fuller – maybe a bit. I have noticed a slight darkening of the the eyelids where Lilash is applied, but not enough to bother me. I bought the product through the Lilash website for the express purpose of using the guarantee if needed. So, I’ll finish the tube before deciding whether to purchase Lilash again (it is pricey, afterall) or recommending it. LiLash is awesome! It took about 6-8 weeks for me to really notice a difference. But it’s definitely worth the wait and you have to be diligent about applying it daily. I get tons of compliments on my new long lashes. One tube is supposed to be about 3 months worth of product, but you can stretch it out to about 5 months. After 5 months I noticed that it didn’t seem to be working as much, luckily I caught their buy one get one half off 4th of July sale and got a couple more tubes. Anyways, I recommend this product to everyone who comments on my lashes and to anyone who wants longer movie star lashes. I have been using Lilash for a little over 2 weeks and have not seen any results yet. I have permanent eyeliner and I wonder if this is the reason. I will try it a little longer and see if I get any results. I had the shorter eyelashes ever. I always wanted long lashes. I used fake ones and even once went for extencions and the people in the beauty palace thought that it was imposible to place them do to the short lenght of mine.I bought LiLash and started to apply it. For me it did not work after 4 weeks or even 8 weeks. But I continued using it. After 8 months the product started working for me. Now I have long eyelashes and they are darker and thicker. My sister noticed the change in my eyelashes. I am planning to contine using the product. I guess for some people the result takes longer. I have been using LiLash for 6 weeks and have seen no noticeable difference in the length or thickness of my lashes. I have noticed discoloration of my eyelids and slight irritation after applying product. I will try for 2 more weeks then give Latisse a try it costs the same when you use coupons. Did the discoloration ever go away? I have been using LiLash for about 8 weeks now. After 5 weeks I did not think it made a difference at all, but now it is just unbelievable. Never have my eyelashes been that beautifully long, dark and strong. Putting on Mascara seems like too much now already. I have used another product before, which really was not great at all: burning sensation upon application and absolutely no effect. Being so sceptical at first buying LiLash, I now have to say it is definitely worth it: no irritation to the eye and gorgeous results: one just needs to be patient! The only thing I am still a little concerned about is the ingredients…but I could not find anything that speaks against the product yet. So, I will for sure buy it again. I have been using Lilash for ten days and i am already growing long eyelashes. within 7 days my eyelashes had already curled with professional results. i am so happy with this product. at first i was applying lilash once a day before i went to bed and my eyes felt fine. after a week of using this i was applying lilash twice a day.. big mistake! my eyes are stinging like mad. so really, you dont need to apply any more than what it says on the packet, it does just fine as it is. A lil bit of black eyelash tint will make your eyelashes look a million dollars! It took about 6 weeks but my short lil asian eyelashed grew massively long. My friends and family were commenting on how lucious they looked all the time. So now I’m on my 3rd tube of the product and it’s not working as well. I reduced usage to every other day and I noticed my lashes were getting shorter so I have started applying daily. It’s been a month and my eyelashes look as stubby and short and I don’t know if they’ll ever grow long again. Like others, I have a light patch of fine hair and discoloration under my lower lash line. I have discoloration under my lower lashes too. Has yours faded yet? Don’t worry Roxanne! They will grow. that my friends thought I had a fake lashes on! I am 57 and my eyelashes had naturally thinned and gotten shorter due to natural aging process. I bought LiLash and saw tremendous results in 3-4 weeks but about that time my eyeballs felt sore, like pressure was on them. It took 2 days for my eyes to feel better after stopping the product. I bought another product which seems to work ok but not nearly as well as LiLash. I would like to know what causes that pressure. After two applications of Lilash, the redness and irritation on my eyelid required me to stop using it. Previously I had used other lash conditioners with effective results and no complications and so I assumed I was immune to side effects from most lash conditioners. But lilash was harsh on my skin. I normally don’t write on message boards but thought it was best to make my fellow female lash conditioner comrades aware. Hope you have more success with this product than I did. For me, it was a waste of my money. liLash is a wonderful product. After using it for 4 weeks , i noticed much longer, thicker lashes. I love LiLash and recommend it. I loved the results I got from using Lilash. My lashes and brows got beautiful and dark. BUT..my lashes fell out at an unbelievable rate so I had to discontinue use. I am so dissappointed! I wonder if there is a product that doesn’t make lash fall-out! Anyone know of one? Only a 3 star because of the loss of lashes. I am scared to try anything else! 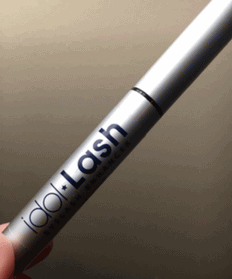 Hi arlene you should consider trying idol lash. i have been using it for couple of weeks and results are amazing and i have no side effects..my eyelashes hardly fall out when i remove my make up..its amazing. After around 6 weeks, my lashes started growing noticeably longer. When I added mascara, I got that WOW effect I’ve wanted forever. However, after several months of use, my eyelids turned a dark brown and it looked like I had eyeshadow on constantly. My eyes also started getting itchy and irritated. I cut the usage down to every other day but then my lashes started to fall out. Overall, I miss the really long lashes I achieved with this but it just wasn’t worth the irritation and looking like I hadn’t slept the night before! I tried Lilash but it made the skin around my eyes red and puffy. The good news is that customer service was excellent and they returned my payment in a very timely manner. My 4th week (end of it) of Lilash and I am beginning to see results. I use far less mascara, as my lashes are thicker and long, and I don’t need to. My lashes also curl up. No more eyelash curler for me. Lashes are not too much darker, just a bit. I am seeing some lashes that are growing longer than the others, and some new lashes growing in. Definitely worth it. Lilash is absolutely rubbish. It not only reduced the rate of my eyelashes growing, I also had to pay A&E at the Hospital a visit as the product had caused my eyes to swell up. I am now partially blind in one eye. Wow I’m sorry to hear you had so much trouble. I’ve been using this product for about six months and have had great results with it. I’ve been using Lilash since 28th Jan 2011, and at the time of writing, 10th Feb, I am yet to notice any growth, thickness or length. From what I gather I need to diligently apply it daily and be patient! i tried the product because of 2 reasons, first, the 90 days money back guarantee, second, i called the customer service of a few cheaper brands, found out they are 1 oz per tube, but li lash is 2 oz per tube, so based on the 2 factor, i decided give it a shot. thank god i did, because my lashs started boosting after 2 weeks, and i just keep useing it. now it’s been 6 months, people ask me about my lashs all the time! they all thought i have lash extentions. i love love li lash! Okay so to add to my review of 10th Feb 2011 I can happily say that my patience paid off, and I now have long thick lashes! 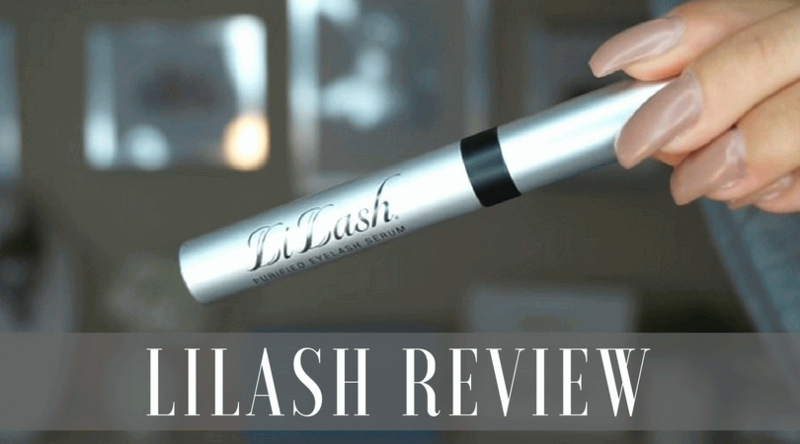 I have been using lielash for approximately 4 weeks and have noticed my lashes a little thicker, however, the length is the same as when I started, unfortunately I have developed dry eyes and dark lids. I will continue to use the products for 4 more weeks and hope it results in longer lashes and the dark lids disappear, if not I will discontiue use. I have been using lilash for about 2 n a half months it definantly made my lashes really long but now they are starting to fall out and look worse than they did before i started. Its upsetting cause they were beautiful and now no lashes. i have used LiLash for almost two years. The first year or so I noticed a dramatic improvement in my lashes and eyebrows. Also, did use the product specifically meant for the brows. However, in the past six months or so I see where my lashes and brows both are not as thick, dark and long as previously. I do have the noticeable dark line above my eyelashes but eyeliner covers that so not too much a problem. I am wondering, as Susan stated, IF one builds up a tolerance to the product or not. I am about through with my current tube and reluctant to spend the money if this is not going to work for me any longer. Anyone have this problem also and continued using where eventually the lashes/brows become thick and dark again? had to make trips to the doctor to obtain. At 62, my eyebrows have thinned considerably and eyelashes are much shorter and sparser. I’ll continue to post at two week intervals once the products arrive and give my input on how LiLash and LiBrow are working for me. Latisse did darken slightly the area next to the lash but I didn’t experience any problem with that product. Hope this goes as well. I’ll give three stars which is a middle rating and will continue to revise as the weeks go by. My sister lives out of town and came for a visit and the first question I asked her was….Ok Are you wearing lash extensions or what…? She said she stared using Lilash because she was tired of false lashes and the gross glue ect… Anyway,her lashes looked long and honestly they looked fake. They didn’t look thick but they were long!!!! I want to try it but dang it’s expensive. I wish I could find a alternative. I noticed results IMMEDIATELY. I had to stop using it at one point because my lashes got TOO long!! They looked kinda weird like spider lashes. My husband didn’t like them that long, so I laid off using it. My lashes go through phases and I get breakage from mascara and when I fall asleep with mascara on.. That’s the worst! So I have some breakage on my left eye lashes.. And pulled out my old tube thinking it may not work anymore.. In no time at all my lashes are already growing back. I am just amazed at this product and truly hope it’s as safe as they claim. I don’t ever want to b without it. I feel bad for those who say its not working, stick with it..I saw results way sooner than they said I would. Unfortunatley I have a medical condition where I began pulling out my lashes since 6 yrs of age, called (trichotillomania) including all of my eyebrows, occassionally if i left them they would grow very sparsely maybe 1mm-2mm long. I bought Lilash on 16 Dec, its now 20 December, and I have applied daily to lashes and brows. There is a difference happening already although I can not really see it yet too clearly, I can feel it. When I lightly run my fingers across the lash line I can feel my 2mm lashes feeling alot stronger than before. and on the places where it was completely bare I can see very small eyelashes beginning where the lash line is very translucent. I will be so happy if this is successful 🙂 (I wasnt too hopeful of this working as I am 45 yrs now and although I stopped pulling them out a few years ago, my eyelashes must have become far too damaged to grow back by themselves. So far, I have had no adverse side effects from Lilash, I will have photos to show at the end of 4 months if this works. I will post every 2 weeks of my progress. This product works! I no longer need to wear mascara during the day and when I do I ALWAYS get asked if my eyelashes are false! For a short time I stopped using LilLash and used Idol Lash – now that was a waste of money – my eyelashes went back to what they were before I used LilLash so I now know that LilLash works and Idol Lash doesn’t! I have thicker longer lashes with a curl too they look amazing. as before i used to wear eyelash extensions which made my eye lashes fallout. The only thing i experience is a slight irritation on my eyelid but its very minor. The cost to me is well worth it as you pay far more getting eyelash extension put on. I had tiny little eyelashes before now they are very thick and long and i love it. Have been using Lilash for a week now and nothing to report yet. I have to admit some of the reviews have scared me. I’m hoping I won’t get breakage and some of the other side effects I’m hearing about. Anyone out there who was having breakage and it stopped? SCAM! Do not buy – caused me huge discoloration under my eyes, cheek hair and breakage. I never leave reviews but this product shouldn’t ever be sold. I wish I never heard of Lilash. HUGE mistake. Did the discoloration go away when you stopped using LiLash? I used lilash for about 9 months. It took about 6 weeks to work and initially I loved the results (so much so that I repurchased when the first ran out after 8 months). However, 2 months ago I suddenly started getting recurring swelling of my eyelids. I stopped using the product immediately, but the swelling has continued for 8 weeks now, sometimes right down to my cheeks, and the ophthalmologists I have seen believe I may have developed blepharitis due to lilash clogging the oil that usually keeps the eyes healthy. I don’t know for sure that lilash has caused these issues but my eyes have been so bad for the past 8 weeks that I do not want to take any chances by trying it again. Just be aware, if you have excessive dryness, swelling or redness, stop immediately. Apparently Blepharitis can become chronic if it is not caught early. I love this product. Ordered it a couple of times for myself, then for my mom and my friends. Lashes grew rapidly – mine have always been quite long, but when I used LiLash people even thought I had lash extensions 😀 And it’s pretty convenient not to use mascara for a couple of month too- no make up needed, because eyes indeed stand out. The only disadvantage that I would mention is that after they reach their limit they start falling off, so after a couple of month there will be a period of lashes renewal, when they are short again. I am also enjoying the delivery time – I am from the Netherlands, so packages from the US are generally delivered within 10-14 days, while LiLash products I received within a week! !